Congressional Research Service. Anthony Andrews, Coordinator, Specialist in Energy and Energy Infrastructure. CRS Report for Congress Prepared for Members and Committees of Congress. October 30, 2009. 53 pages. "...The saline “flowback” water pumped back to the surface after the fracturing process poses a significant environmental management challenge in the Marcellus region." The Congressional Research Service (CRS) serves shared staff to congressional committees and Members of Congress. CRS experts assist at every stage of the legislative process — from the early considerations that precede bill drafting, through committee hearings and floor debate, to the oversight of enacted laws and various agency activities. See: What is the Congressional Research Service? It is ironic that the following report was about to be published on April 20, 2010, the day the BP Deepwater Horizon platform caught fire, resulting in the largest oil spill in U.S. history. Humphries, Marc, Robert Pirog, and Gene Whitney. U.S. Offshore Oil and Gas Resources: Prospects and Processes. Washington, D.C.: Congressional Research Service, April 26, 2010. (PDF). Today Energy and Commerce Committee Ranking Member Henry A. Waxman, Natural Resources Committee Ranking Member Edward J. Markey, and Oversight and Investigations Subcommittee Ranking Member Diana DeGette released a new report that summarizes the types, volumes, and chemical contents of the hydraulic fracturing products used by the 14 leading oil and gas service companies. 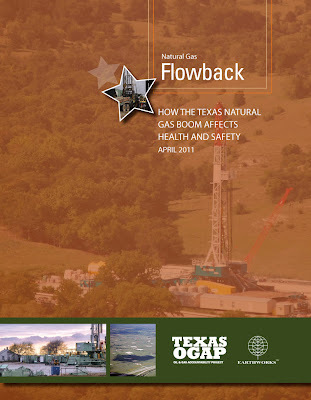 The report contains the first comprehensive national inventory of chemicals used by hydraulic fracturing companies during the drilling process. “Hydraulic fracturing has helped to expand natural gas production in the United States, but we must ensure that these new resources don’t come at the expense of public health,” said Rep. Waxman. In these cases, it appears that the companies are injecting fluids containing unknown chemicals about which they may have limited understanding of the potential risks posed to human health and the environment. Hydraulic fracturing has opened access to vast domestic reserves of natural gas that could provide an important stepping stone to a clean energy future. Yet questions about the safety of hydraulic fracturing persist, which are compounded by the secrecy surrounding the chemicals used in hydraulic fracturing fluids. This analysis is the most comprehensive national assessment to date of the types and volumes of chemical used in the hydraulic fracturing process. It shows that between 2005 and 2009, the 14 leading hydraulic fracturing companies in the United States used over 2,500 hydraulic fracturing products containing 750 compounds. More than 650 of these products contained chemicals that are known or possible human carcinogens, regulated under the Safe Drinking Water Act, or listed as hazardous air pollutants. 31. Letter from Reginald J. Brown to Henry A. Waxman, Chairman, Committee on Energy and Commerce, and Edward J. Markey, Chairman, Subcommittee on Energy and Environment (Apr. 16, 2010). 32. Letter from Philip Perry to Henry A. Waxman, Chairman, Committee Energy and Commerce, and Edward J. Markey, Chairman, Subcommittee on Energy and Environment (Aug. 6, 2010). 33. E-mail from Peter Spivack to Committee Staff (Aug. 5, 2010). 34. E-mail from Lee Blalack to Committee Staff (July 29, 2010). ...“Questions about the safety of hydraulic fracturing persist, which are compounded by the secrecy surrounding the chemicals used in hydraulic fracturing fluids,” said the report, which was written by Representatives Henry A. Waxman of California, Edward J. Markey of Massachusetts and Diana DeGette of Colorado. ...Some of the ingredients mixed into the hydraulic fracturing fluids were common and generally harmless, like salt and citric acid. Others were unexpected, like instant coffee and walnut hulls, the report said. Many of the ingredients were “extremely toxic,” including benzene, a known human carcinogen, and lead. ...Ms. Degette, and Representative Maurice D. Hinchey, Democrat of New York, recently reintroduced the FRAC Act, a bill that would require chemical disclosure from all drilling companies, including a provision that companies release proprietary information to health professionals if it is needed for treatment. The FRAC Act would also create an online registry of chemicals on a well-by-well basis, but it would require drillers to disclose what they plan to use before they fracture a well, as well as a post-fracturing report. See: Urbina, Ian. “Millions of Gallons of Hazardous Chemicals Injected Into Wells, Report Says.” The New York Times 16 Apr. 2011. Web. 17 Apr. 2011. AUSTIN, TX, APRIL 14 – State, local and federal officials and regulatory agencies are failing to protect Texans from the health and safety risks of the natural gas boom, according to a report released today by the Texas Oil & Gas Accountability Project (OGAP).